Scanners use a wand to check the physical location of parts/tools in a machine. If the position of the tools changes because of breakage, the system will automatically shut the machine down. This ensures process, equipment, and employee safety. The controllers are connected to the scanner via a cable. The information from the scanner is passed back to the controller. If a problem has occurred the controller will output a signal back to the machine control stopping the machine. Controller types vary depending on the specific application. Some use 24vdc inputs and output and others use fieldbus connections such as DeviceNet or Profibus. 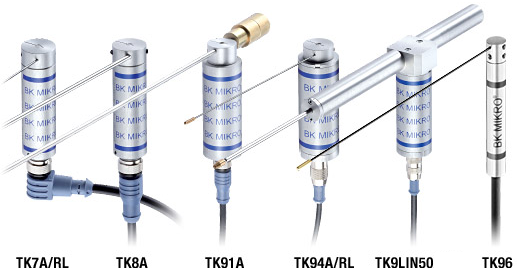 Models Available with Techna-Tool: BK MIKRO BKM91, BKM91D and BKM92KIO Premium Controllers, BKM9I/O Extension Module, and BK MIKRO 93 Basic Controller. These systems are used as measures to ensure precise functioning of machines. The checks are performed on each machining cycle. These preventive measures are taken to avoid higher repair, replacement, or maintenance costs. If the problems are detected immediately it can prevent machine or part damage. The broken tool detection systems have been manufactured using state of the art technology with attention paid to the design and construction. They are durable, low maintenance, provide precise results, and offer ease of operation. This entry was posted in Broken Tool Detection Systems and tagged series of broken tool detection systems. Bookmark the permalink.